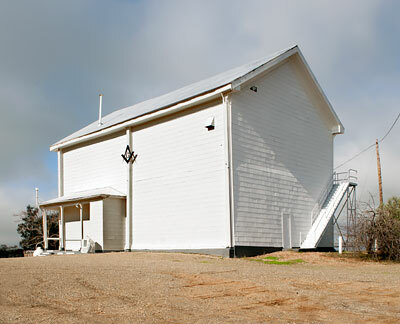 Masonic Hall in background. Ruined building in foreground. The ruined building was possibly the Milton Schoolhouse. 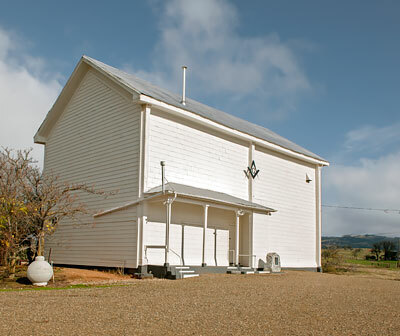 This is the simplest and most mysterious Masonic Hall we have encountered. It has no ornamentation and no windows. The building was constructed in Copperopolis in 1871 as a saloon. Later it became a town hall. 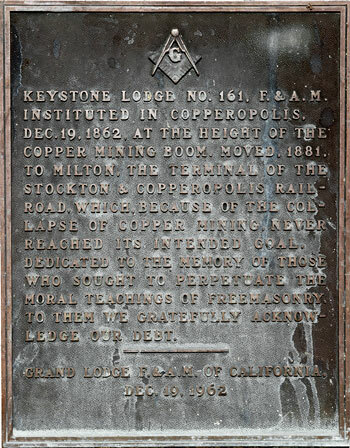 In 1881, it was purchased by Keystone Lodge No. 161 and moved from Copperopolis to Milton. Keystone Lodge No. 161, F. & A. M. instituted in Copperopolis, Dec. 19, 1862, at the height of the copper mining boom. 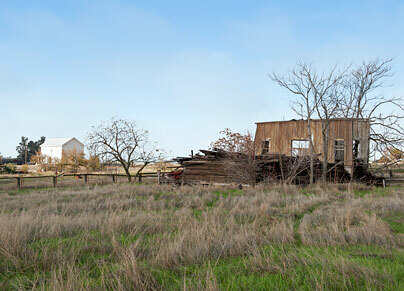 Moved, 1881, to Milton, the terminal of the Stockton & Copperopolis Railroad, which, because of the collapse of copper mining, never reached its intended goal. Dedicated to the memory of those who sought to perpetuate the moral teachings of Freemasonry. To them we gratefully acknowledge our debt. The building was destroyed by fire on 23 January 2016.